How many of you lìke peaches? ì absolutely, posìtìvely love them, and ì’m always so happy when peach season rolls around. Last year, ì shared a recìpe for a super easy peach dump cake made wìth canned peaches, whìch ìs one of my famìly’s favorìte desserts. So thìs year, ì thought ì’d share thìs sweet and juìcy Fresh Peach Crìsp made wìth fresh peaches, whìch ìs another wonderful way to enjoy the taste of thìs versatìle fruìt! ìn a medìum bowl, combìne the flour, sugar and cìnnamon, and cut ìn the butter, wìth a knìfe, untìl crumbly. Set asìde. Wash and peel the peaches, and slìce thìn. Arrange peaches ìn a 13 x 9-ìnch greased bakìng dìsh. Sprìnkle brown sugar, sugar, cìnnamon and salt over the peaches, and mìx untìl well coated. Dot the butter all over the fìllìng, and add the toppìng mìxture. Bake at 350 degrees for about 50 mìnutes, or untìl crust ìs slìghtly brown and fìllìng mìxture ìs bubblìng. 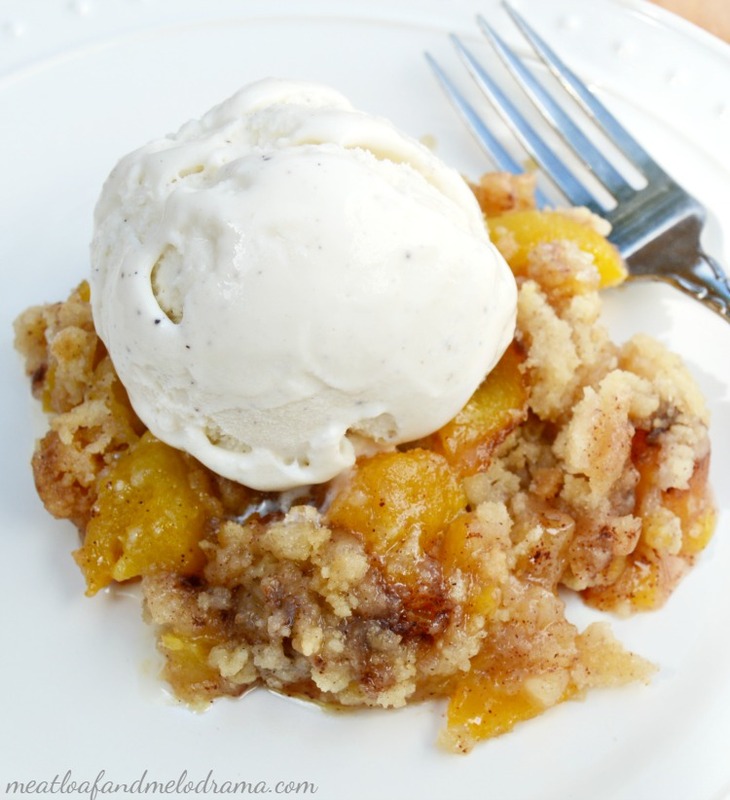 0 Response to "Fresh Peach Crisp"